Despite living and growing up in Durban, I have always had a passion and desire to spend as much time as possible in the bush. This passion was fueled largely by my family who have always been bush-lovers and avid bird-watchers; so thankfully during my school holidays my next trip to the bush was never far away. Living in Durban I was also very fortunate to spend much of my time visiting many of the game reserves in KZN managed by Ezemvelo and iSimangaliso on which Wildlife ACT operate, such as: Hluhluwe-iMfolozi, Eastern Shores and uMkhuze. During these trips I developed a keen desire to learn not only about the bush, but how to conserve it. I have always wanted to dedicate my life to the invaluable efforts of wildlife and ecosystem conservation. With these aspirations in mind, I enrolled at the University of KwaZulu-Natal where I completed my Undergraduate and Honours degree in Marine Biology and later my Master’s degree in Terrestrial Ecology. 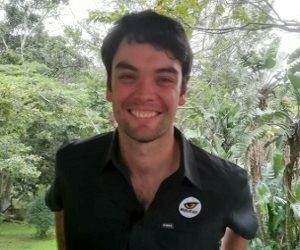 After completing my Masters, I was fortunate enough to be offered the opportunity to realise my dream by working as a priority species monitor for Wildlife ACT. It’s a real privilege Working and living in Zululand with a team of like-minded individuals all contributing to species preservation and conservation.